American adults spend more time online than they do in front of a television. In fact, thanks to the more prevalent use of smartphones and tablets, consumers have developed an almost insatiable appetite for content. This has set the stage for the rise of native advertising, a promising advertising format with none of the drawbacks of conventional banner ads. In our complimentary new e-book, A Marketer’s Guide to Native Advertising, MDG Advertising explains how to master the art of this rapidly emerging and highly effective ad form. MDG takes readers through a step-by-step approach to getting native advertising right. From identifying the various types of native ads and the best uses for each, to offering tips on native ad placement, to measuring the results, this informative e-book covers all the bases. This highly detailed new e-book arms marketers with invaluable insights and gives them essential knowledge for developing an effective native advertising strategy. Get ready to change what you thought you knew about advertising. Are you ready for advertising that’s nothing like advertising? There’s an exciting way to engage with an almost-constantly online audience, and it’s nothing like advertising as usual. Let us take you step-by-step through everything you need to know to master the art of this rapidly emerging and highly effective ad form. The significant difference in purchase intent between those who click on native ads (52%) vs. banners (34%). 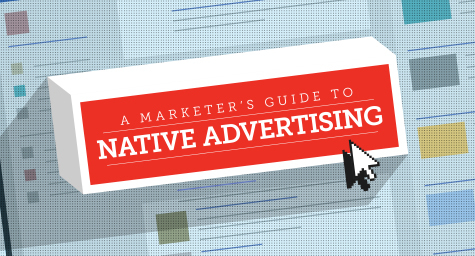 Stay current on the evolution of native advertising. Contact MDG Advertising today at 561-338-7797. MDG Advertising is a full-service advertising agency and one of Florida’s top branding firms. With offices in Boca Raton and New York City, MDG’s core capabilities include branding, logo design, print advertising, digital marketing, mobile advertising, email marketing, media planning and buying, TV and radio, outdoor advertising, newspaper advertising, video marketing, retail marketing, Web design and development, content marketing, social media marketing, and SEO. To discover the latest trends in advertising and branding, contact MDG Advertising today at 561-338-7797.